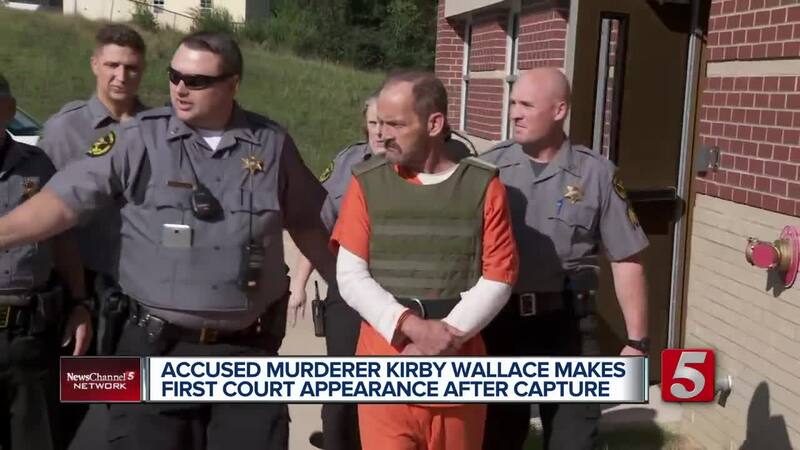 Homicide suspect Kirby Wallace made his first appearance in court after being on the run for more than a week. An arraignment hearing was set for Tuesday afternoon after Wallace was captured on Friday . For 13 days, he terrified Stewart and Montgomery county residents as a massive manhunt ensued. While being escorted into the courthouse, NewsChannel 5's Matthew Torres asked him, "Why did you run from police?" He responded saying, "I was afraid I was going to get killed." Matthew asked "Did you kill them? Did you do it?" Kirby said, "nope." 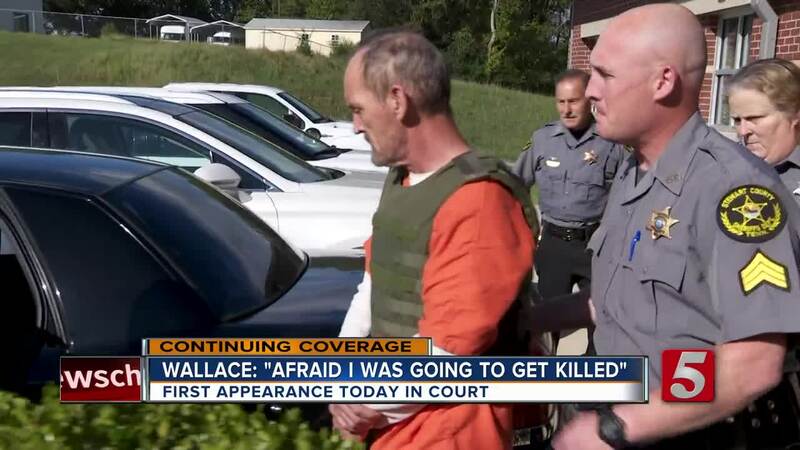 Wallace wore a orange jumpsuit and a bulletproof vest into the courtroom. He’s been accused in a string of home invasions and two homicides. Wallace faces charges of 1st-degree murder, felony murder, attempted murder, especially aggravated burglary, especially aggravated robbery, especially aggravated robbery, especially aggravated kidnapping, especially aggravated kidnapping, aggravated arson. A friend or family member of one of Wallace's alleged victims spoke to Kirby through the glass of the courtroom. "I'm going to watch you die, Kirby. We'll be waiting. I'm going to be watching," the man said. The purpose of a court appearance was to ensure Wallace has an attorney and setting another preliminary hearing, which was set for November 6. Wallace is expected to plead not guilty. Although he’s now behind bars, the investigation continues. Stewart County Sheriff Frankie Gray said he suspects Wallace had some help while on the run. If the investigation reveals someone did help Wallace, he or she will face charges in the case.